Skills in cultural competence are in high demand as we all become more interconnected around the globe. These skills, which are essentially behaviors and attitudes that enable us to work effectively cross-culturally, are a central part of my classroom teaching. And, it starts early on. Here are a few ways that I provide opportunities for some of my youngest student to start honing their skills of cultural competence early on. The French speaking world is so much larger than France and Canada, and I strive to expose my students to the many countries and cultures around the world that use the French language. Beyond European countries such as Belgium and Switzerland, French is used in many African countries including Senegal, Benin, Guinea, Cameroon, Chad and Rwanda just to name a few. Additionally there are francophone areas in the Caribbean (Haiti, Martinique) and the south Pacific (French Polynesia and New Caledonia). In an effort to engage students in the language and culture of these countries, my French students have been corresponding with students from around the francophone world. Three years ago my fourth grade class connected with the Fontamara School in Port-au-Prince, Haiti. The partnership was made through a connection I have with the Power of Education Foundation, which started the Fontamara School following the earthquake in 2010. My students wrote autobiographies in French to talk about their homes, families, likes and dislikes, and their school. The students at Fontamara also wrote to our fourth graders following their lead of topics which made it rather easy for my students to understand the French. Two years ago one of my classes was paired with a Peace Corps volunteer teaching in a school in Senegal. Our Peace Corps partner, Samantha, kept a blog of her experience, and the my class was able to follow her adventure in addition to corresponding with her students in French. They even got to see pictures that Samantha posted on her blog of students in Senegal writing to us. This year we were able to take advantage of my school’s partnership with the APAPEC School in Rwanda. Each year a teacher from each school spends two weeks in this sister school. One of our first grade teachers recently traveled to Rwanda and prior to her departure my students wrote personal letters that she presented to the APAPEC students. Many of the classes in the school are taught in French and upon her return she brought letters in French from the students in Rwanda. I put them on display on bulletin board outside of my classroom with QR codes so that community members can scan and listen to our French students reading their letters. These connections between my students and students in Haiti, Senegal and Rwanda have been a truly authentic way of engaging the skills of cultural competence. Students are often quick to point out what we all have in common, but we as educators need to push students to look for what is different as well. This is where we have to put our cultural competency skills to work. It is easy and somewhat effortless to respect, honor and understand that which we share in common. The learning and strengthening of skills of cultural competency come from respecting, honoring and understanding that which is different. As second language teachers, we know that the culture associated with a language cannot be learned in a few lessons about celebrations, folk songs, or costumes of the area in which the language is spoken. 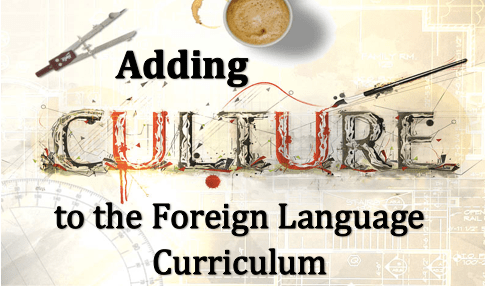 Culture is a much broader concept that is inherently tied to many of the linguistic concepts taught in second language classes. Through the study of other languages, students gain a knowledge and understanding of the cultures that use that language; in fact, students cannot truly master the language until they have also mastered the cultural contexts in which the language occurs. In THIS concise article, Peterson and Coltrane discuss how to teach culture in a way that challenges preconceptions. They suggest teaching methods that include role play, the use of authentic documents, film, proverbs, and student resources. This is an article that I read while in graduate school studying Applied Linguistics and the ideas have always guided me in the classroom. The use of authentic documents in the World Language classroom has become more and more important in recent years as teachers are becoming more aware of the importance of exposing students to culture in the classroom. Here are some ideas concerning the use of authentic documents in the classroom, as opposed to documents created to mimic the culture. A true understanding of another culture must move beyond what Moran refers to as a Functionalist View, which presents only institutional and assumed collective perspectives of a country or culture.This might include the presentation of cultural “facts” such as “All Quebecers speak French and want to separate from Canada.”By approaching the study of culture from what Moran refers to as a Conflict View, students can come to understand that there are various opinions and perspectives within any culture and these must be understood in order to arrive at a more appropriate, and perhaps empathetic perception of the culture. The most effective way to provide students with opportunities to understand cultural perspectives from an insider’s point of view is through the use of authentic documents that are created by members of the foreign culture for members of the foreign culture (Galloway,). Galloway, V. (1992). Toward a cultural reading of authentic texts. In Heusinkveld, P. R. (Ed. ), Pathways to Culture. (pp. 255-302). Yartmouth, ME: Intercultural Press. Moran, P. (2001) Teaching Culture: Perspectives in Practice. Boston, MA: Heinle & Heinle. Teaching geography is sometimes on of the more difficult concepts to convey to students. We hate to simply have students memorize a map, label cities, rivers, and borders and call that a culture lesson, but sometimes that is all that we have the time to do. Based some readings in cultural studies, many teachers are turning to the expert approach to teaching about places in a particular region. In this type of activity, each student is responsible for becoming the expert on a particular place (city, town, neighborhood) and can present this information to others in the class. What usually happens is that students find cultural pieces of interest in what the other students have learned and will often inquire further. For younger students it is helpful to have students ask each other about their “expertise” and have questions to be answered. For more advanced levels, students can be responsible (in the target language) for more historical aspects of a particular place and can even begin to do some research on social structures or issues. This information generally available on line in publications that are written in the target language countries. For example, illiteracy rates or public assistance may be appropriate for high school or college students, whereas important buildings and neighboring towns/cities would be a better option for elementary and middle school students. 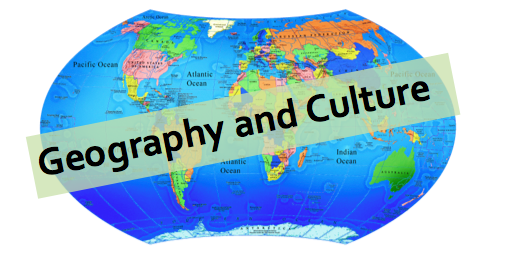 Ultimately, the goal in teaching geography in a foreign language classroom should include awareness of the people that create and live the culture associated with it, rather than just a series of dots on a map. If you are looking for a way to introduce the rich and diverse world of the Hispanohablante, you can access a great unit online that was created by the Comm Tech Lab at Michigan State University. In this unit, students use the Internet to explore Spanish-speaking countries around the world. Students move beyond a superficial understanding of countries and cultures and engage in a deeper understanding of the people and ways of life. You can access the full set of lesson plans and online resources HERE.